Our shops depend on your donations. 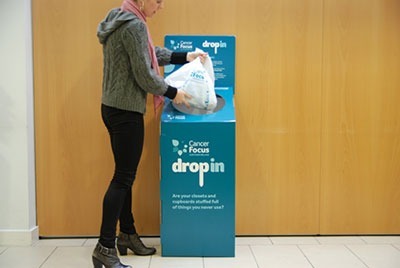 To make it even easier for you to clean out your closet AND support your local cancer charity, we’ve introduced Drop In Boxes for workplaces. 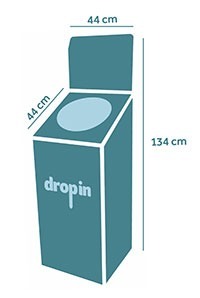 The box, measuring 134cm x 44cm x 44cm, sits in your workplace. Simply bring in your unwanted goods and leave them in our Drop In Box for collection. When the box is nearly full, contact our retail department and we’ll collect the donated goods within 48 hours. These goods will then be brought to your local Cancer Focus NI charity shop where the items will be sold. The money raised will be used to provide our free cancer support services to patients and their families in Northern Ireland, deliver cancer prevention programmes and fund vital life-saving research.